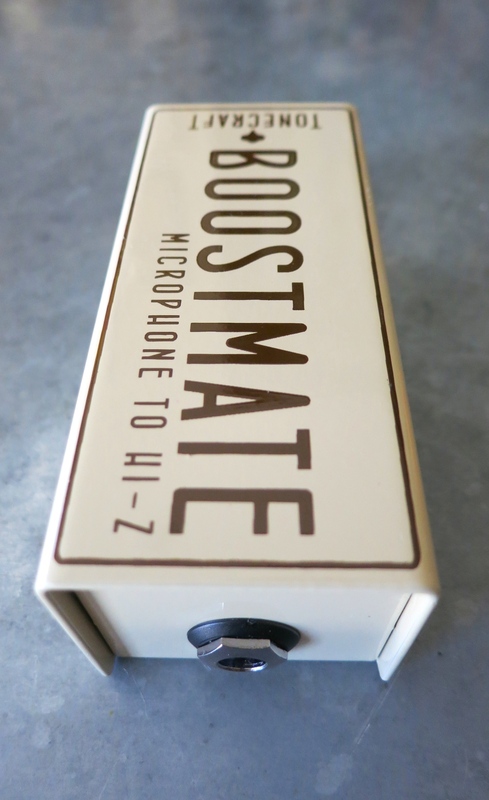 Listen to The Bass Hang's Steve Araujo talk about the Boostmate's functionality followed by an in depth demo of the Boosmate being used with an A-Designs Reddi, a Sennheiser 421 and a Form Factor cabinet to capture a variety of basses. We are a big fan of bassist Chris Stillwell. His playing with The Greyboy Allstars and Karl Denson's Tiny Universe has set the high bar for old-school style funk bass. He's a big fan of flatwound strings, as are we, and this is a great sample of what flats sound like through the 363. The Tonecraft 363 was recently put to good use by Grammy winning producer Jason Carmer recording Italian superstar Luciano Ligabue. Sessions took place at Dave Grohl's Studio 606 featuring his "Sound City" Neve. Tonecraft Audio will be exhibiting at this year's AES conference at the Los Angeles Convention Center on October 9-12th. The Audio Engineering Society is a scientific organization where papers are presented and historic advances in audio technologies have been made. Conferences are held around the world and the really big ones are held here in the U.S. The show features a huge exhibit hall where manufacturers show their wares. It's not completely unlike NAMM except 90% less mullets and a lot more high end equipment and PhDs. It's a very fun event and the AES folks are cool enough to let us offer free badges to our friends and clients. We'll be at booth 1452 and hope to see you there. Bassist Kaveh Rastegar is wrapping up the U.S. leg of John Legend's All of Me Tour and had a few words to say about his experience with the Tonecraft 363 Tube Direct Box live from Red Rocks Amphitheater. Modern bass legend Kaveh Rasteghar has been using the 363 on studio sessions for the past 6 months and is currently running it on upright bass with John Legend's acoustic summer tour. Kaveh is one of the greatest bassists on the the planet right now and is making music all over the map: European stadiums with Ligabue, tracks with bay area underground hip hop group Latyrx, musical director for Sia, songwriting with Bruno Mars, Kimbra, Cee Lo Green, Kimbra, De La Soul and Meshell Ndegeocello, experimental jazz with Kneebody and Thruster. On top of that he's a super down to earth dude. We're proud to have him as a Tonecraft artist. Tonecraft on the Road with Freddie Washington and Steely Dan. We are proud to have the Tonecraft 363 Tube Direct Box on Steely Dan's Jamalot Ever After Tour currently making it's way across the country. The 363 is being used by legendary bassist "Ready" Freddie Washington. Freddie is a true gentleman with one of the all time best bass grooves. Thanks for the support Freddie and we look forward to hearing you on tour! Tony Berg chooses the 363 for bass on new AJ Croce track "Always and Evermore"
Legendary LA producer Tony Berg (Fiona Apple, Bob Dylan, Michael Penn) recently put the 363 to the test recording Sebastian Steinberg playing through a 1964 Hofner flatwound strung violin bass on AJ Croce's track Always and Evermore from his new album Twelve Tales. Steinberg dug deep into to the 363's tones and you can really hear it on his impressive runs. Proud to be part of such a great album. It's climbing the charts fast (#23 Roots, #50 Rock as of today) and we urge people to pick up a copy! You can check the track out here. Listen to the sound of the Tonecraft 363 amplifying a Fishman soundhole pickup fitted Gibson acoustic guitar. The guitar fed straight into the 363 to Lynx Aurora converters. No additional EQ, compression or processing has been used. Isolated 1971 Fender P Bass with flatwound strings. No compression, EQ or other processing. This is simply the sound of the bass through the 363 to converters. We recently recorded a set of audio clips in a band setting with select instruments broken out into solo'ed mixes. These are unadorned recordings so that you can hear the sound of what an instrument sounds like from cable to 363 to converter. You can listen to electric bass, electric guitar, Nord, Hammond, Wurly and Clavinet as well as two different acoustic guitars with very common pickups played with pick and fingerstyle. We will be creating more samples in the coming weeks and please feel to contact us with any questions or comments. We have created a playlist at Soundcloud. The mixes are 24 bit/48k and you are welcome to download the hi-resolution files.